Class and wealth are defined through subtle statements within your surroundings. Hal Lejeune’s masterfully expressive landscape lighting has tastefully illuminated the estates of dignitaries, the famous, and wealthy throughout the world for over thirty years. Let us make your outdoor living environment a breathtaking work of art. 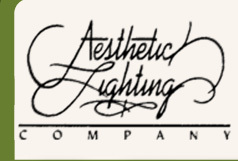 With offices in San Antonio, Texas and Woodside, California, Aesthetic Lighting has installed landscape lighting in the United States and many other countries. Our thoughtful designs enhance the nightime appeal of any residence or business, as well as increase its security.